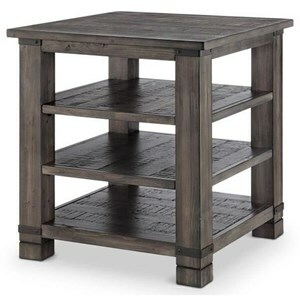 This charming end table will be an amazing addition to either a downtown loft or a farmhouse. 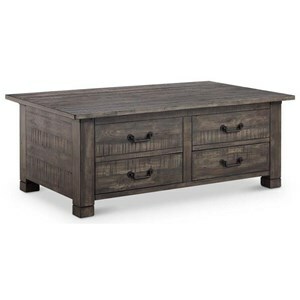 The rustic table features a weathered finish and aged iron hardware. 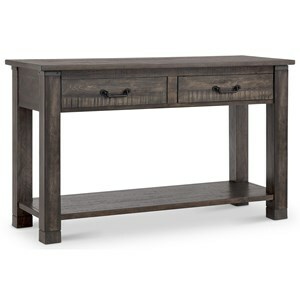 The table has one shelf and one drawer for convenient chairside storage. 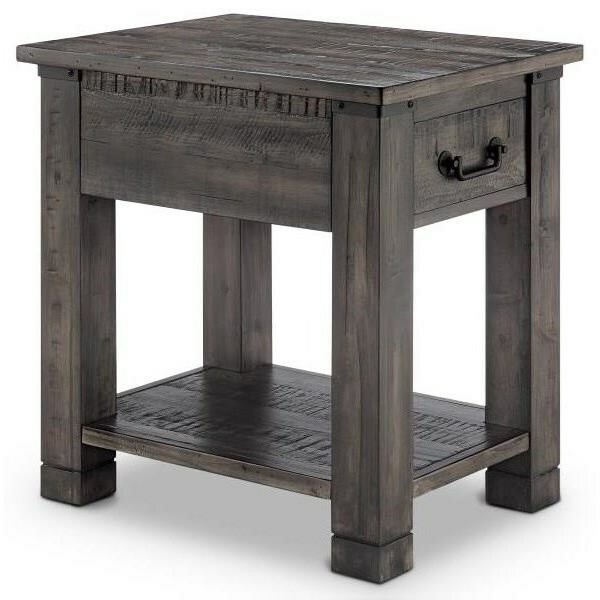 The Abington Weathered Grey Rectangular End Table by Magnussen Home at Wayside Furniture in the Akron, Cleveland, Canton, Medina, Youngstown, Ohio area. Product availability may vary. Contact us for the most current availability on this product.